Procedures performed with diode laser result in less pain, faster healing, and overall better outcomes. 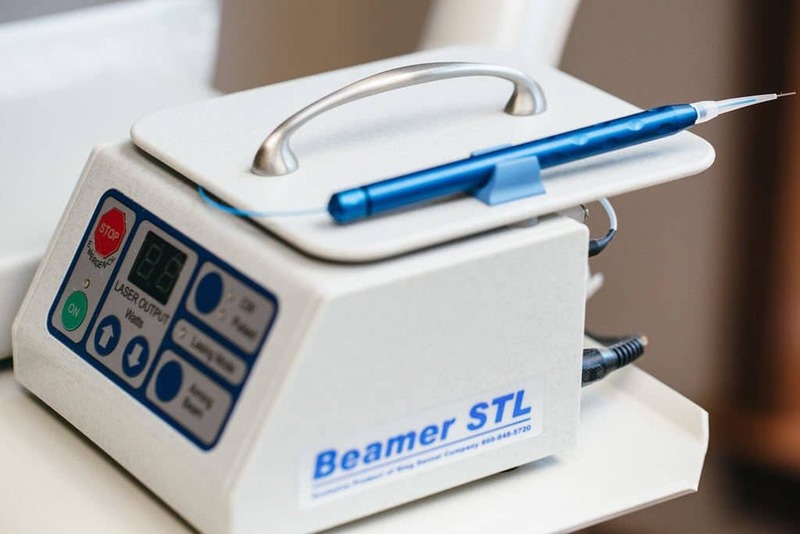 Dr. Smith has two diode soft tissue lasers that are used in frenectomies, periodontal surgery, treatment of periodontal disease, cosmetic gum surgery, healing mouth sores, and more. Like all of the dental products at Main Street Dental Arts, our lasers have been hand-selected by Dr. Smith, a board-certified Waxahachie dentist, a member of the American Dental Association (ADA), and a Fellow of the Academy of General Dentistry (FAGD). We use the highest-quality technology so that our patients experience less pain, anxiety, and hassle! To find out more about our laser-based procedures, call us or send us a message now.